The two providers in mission-critical (MC) communications, Sonim Technologies and Softil, jointly announce that they have combined their technologies enabling Sonim to roll out the world’s most rugged range of next generation LTE devices for first responders. 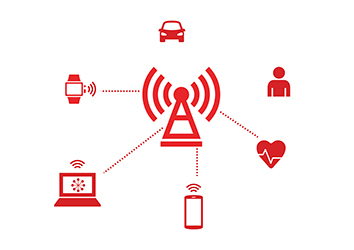 Taoglas, a provider of IoT and automotive antenna and RF solutions, in partnership with Adant, a provider of smart antenna technology, at Mobile World Congress 2018 announced the launch of Taoglas Shift, a software-defined antenna system that changes the economics of next-generation wireless networks by extending coverage and increasing throughput by up to 100%. SNS Telecom’s and IT‘s latest research report indicates that annual investments in private LTE and 5G network infrastructure will exceed $5 billion (€4.03 billion) by 2021. Quortus is collaborating with e-BO Enterprises, a Belgian provider of smart content distribution platforms, network operation services, secure cloud computing solutions and network infrastructure, to enable LTE voice and data solutions for offshore wind farms. Sicap Schweiz AG, the global mobile device management vendor announced that its Device Management Centre (DMC), in use by more than 70 global mobile operators, has been enhanced with a fully standard compliant voice over LTE (VoLTE), Video over LTE (ViLTE), Voice over Wi-Fi and Rich Communications Suite (RCS) Device Entitlement Server (DES) functionalities. Zyxel Communications will host the global debut of two new CAT5Distributed Antenna System (DAS) in-building coverage solutions at this year’s Mobile World Congress –enabling service providers to quickly solve connectivity limitations within small-to-medium buildings.